On Wednesday I met with Stephen Kerr and Wendy Corrigan of our project conservation architects Wylie Shanks Architect at their Glasgow Office and was introduced to Graeme Frew of Stone, Timber and Lime Conservation who will be carrying out the conservation work on the Auld Kirk ruins and on five lairs in the kirkyard – Rev Thomas Hunter, Rev James Young, William Arthur and Hyslop of Bank. 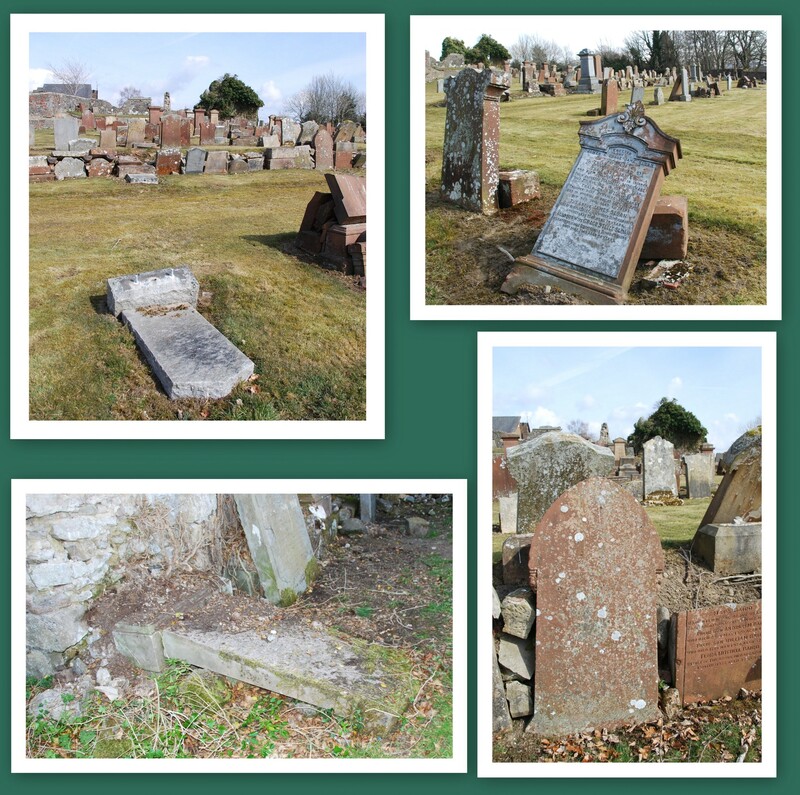 I am also delighted to announce that after discussions with one of our funders it has been possible to realign some of the grant to reset four of the soldiers headstones that have tumbled – we believe this is a more meaningful use of the money, particularly with next year being the 100th anniversary of the start of the Great War. The work is scheduled to take five weeks and begins tomorrow morning. Welcome to our project, Stone TLC. This entry was posted in Auld Kirk, Headstones and tagged Auld Kirkyard, Heritage, New Cumnock. Bookmark the permalink. Good to hear from you. Yes, Ivie’s headstone is still very much in our plans and will be put back in place. It will also appear on the School children’s Discovery Trail.